ASHMOOR WOODS is a development of luxury homes in eastern Jefferson County. This neighborhood is on Shelbyville Road, three miles east of the Gene Snyder and east of Eastwood, KY. Golf lovers will enjoy that this neighborhood is near Valhalla golf course. Each Ashmoor Woods home has its own character. Many of these homes were custom built so you will find that this neighborhood is not cookie cutter. Construction of this subdivision began in the 1990s. Ashmoor Woods homes are large, boasting 2,800 to over 5,000 above grade square feet plus a basement for extra square footage. Three to four bathrooms and four to five bedrooms are typically what you will find. Expect to pay over $400,000 to live in Ashmoor Woods. This neighborhood has lots that provide more privacy. Most lots are close to an acre and some are over an acre. 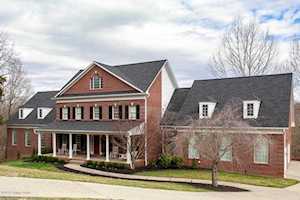 Homes for sale in ASHMOOR WOODS, a community in the Greater Louisville KY area, are included below. These properties for sale in Ashmoor Woods are updated every day from the Louisville MLS. If you would like to learn more or have any questions about any of these Ashmoor Wood homes for sale, just click the "Request More Information" button on any property detail page. We can provide you with past sale information, comparables, disclosures, and tax info -- and we'd love to answer any questions you have.